Today, we will see how to create blank folder names in Windows. I have used this trick earlier on Windows Vista and Windows 7 – and it now also works on Windows 8.1 as well. I do not remember if it worked on Windows XP and earlier. Using this trick, you can display a folder without a name. There is one caveat however. Your computer needs to have a Numeric keyboard pad. In case some of you do not know, Numeric keypad or NumPad is the section of the keyboard on the right side, which usually contains 17 keys, viz. 0 to 9, +, -, *, /, ., Num Lock and Enter keys. 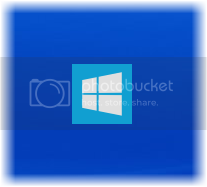 To create blank folder names in Windows 8.1, right-click on the Windows desktop and select New > Folder. The folder will get created on the desktop. If you right-click the folder, select Rename and enter only spaces, the operating system will not accept it. To remove he name and display a blank name, right-click on the folder and select Rename. Now press the Alt key and from the Numeric keypad, press 0160. Now press Enter or click anywhere on the desktop. A folder with no name will be created. 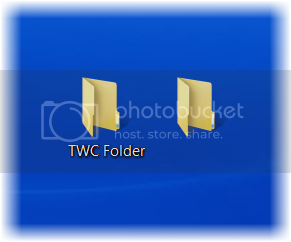 Change its icon and you could have a smart looking folder on your desktop. If your laptop has a numeric pad, you will be easily able to create such name-less folders. Do not have a NumPad? Check if this forum post on how to have blank folder names in Windows on a laptop without a Numeric pad works for you. To enable numpad you should be able to click the Shift+Num Lock keys to enable/disable Allows you to use numbers for the letter keys. Some use the FN+Num lk key combo to enable/disable. You'll find that the numpad keys are shared with the numbers 7, 8, 9, and the letters U, I, O, J, K, L and M.
Woot! L.W, it worked ! I pressed "fn+num lk", and then pressed MJOM keys to get 0160 numeric. Voila I had a name-less folder on my laptop! Thanks a ton!